Needle Tube Fly or Waddington? Has the needle tube rendered the Waddington shank redundant? The Waddington lure was devised by Richard Waddington in the middle of last century. 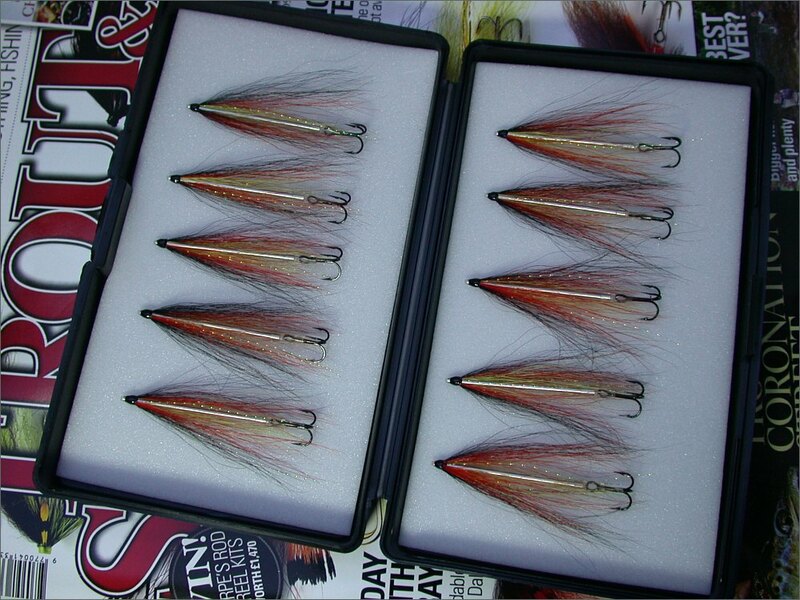 In "Salmon Fishing"�, published in 1947, he writes, "My ideal salmon fly, however, is quite revolutionary. The shank will remain a steel bar - though were it not for the weight I should prefer something pliable like a heavy nylon strand. This will be linked with a plain loop to a small triangle. The fly will not be dressed in the normal way. 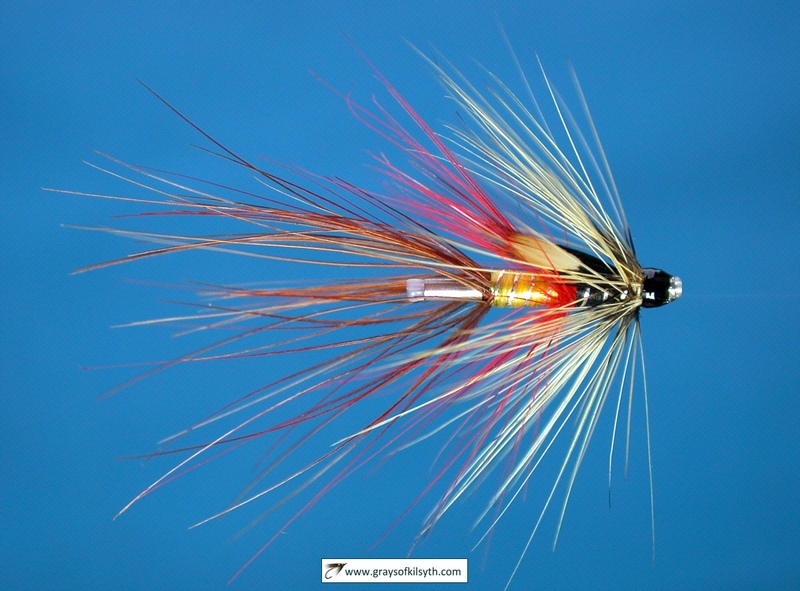 The body will be the same but the wing will disappear to be replaced by plenty of hackle dressed all round the fly so that whichever way it is turned it will have the same appearance. 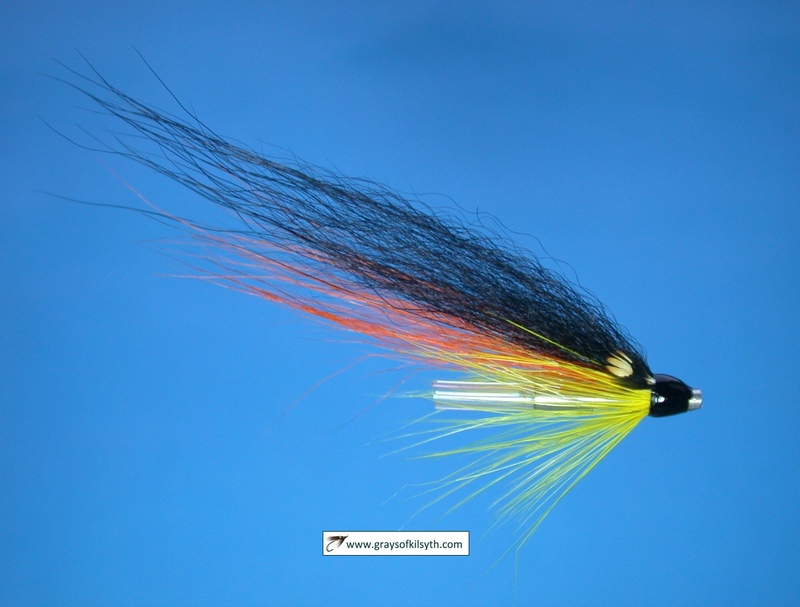 I surmise that this fly will look more natural in the water; that the small triangle is less obvious than a large hook and that once the fish is hooked it will give a better hold. The link in the shank will obviate much of the strain and movement in the hook." 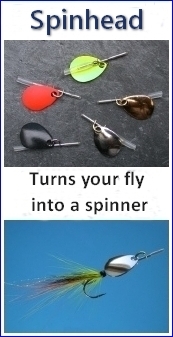 The "Waddington"� later became popular with those salmon fly tyers seeking to create a long bodied, medium weight salmon or sea trout fly but with a slimmer profile than flies dressed on conventional tubes (copper, brass, aluminium or plastic), which have a typical diameter of about 3mm. While the Waddington lure does have a slim profile and allows the use of a relatively small treble hook, it has two disadvantages. Firstly, it is not so easily dressed as a tube fly and, secondly, the treble hook is not so easily replaced when damaged. 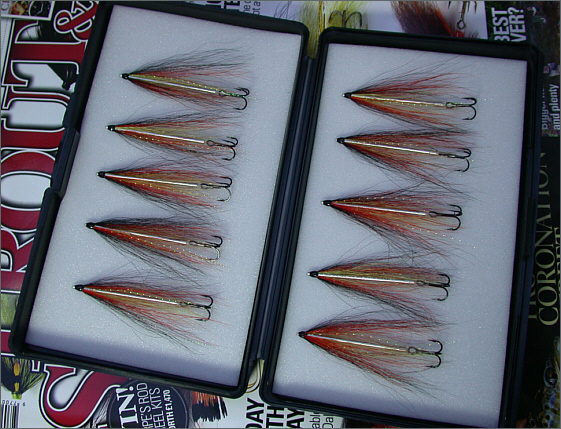 The Needle Tubes recently developed by Grays of Kilsyth offer, I think, the best of both worlds. Made from ultra slim stainless steel tubing, the type used in the manufacture of hypodermic needles, they have an outside diameter of only 1.5 mm and are available in lengths from 10 mm to 40 mm. Made from plastic lined stainless steel, the needle tube is comparable in weight to a Waddington lure, while being lighter than a copper or brass tube and heavier than an aluminium or plastic tube. The needle tube, held in a suitable tube fly vice, is more easily dressed than a Waddington shank. The polished stainless steel needle tube may be left undressed to create a simply dressed, slim, silver bodied lure or it can be dressed in the traditional manner. The hook - treble, double or single, barbed or barbless - can be easily changed when damaged or to suit circumstances. A silicone hook link holds the hook securely in place while offering great flexibility and minimum "leverage". 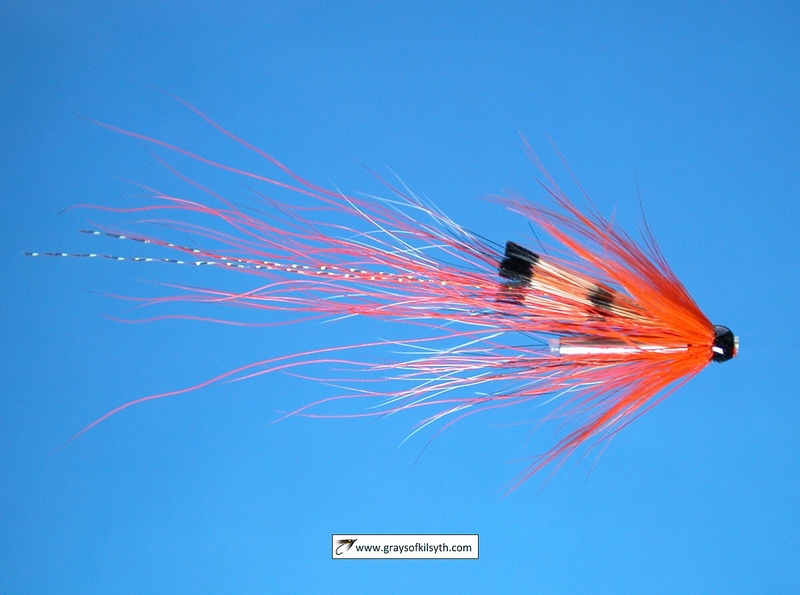 The needle tube, then, offers the slimness of the Waddington lure with the simplicity and convenience of the tube fly.